Sunday 19th of August 12:00-2:00pm. 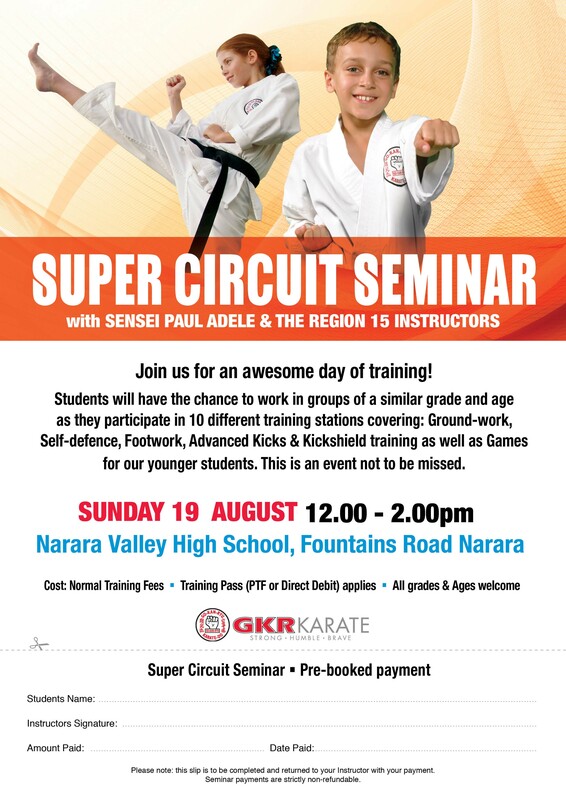 Narara Valley High School, Fountains Road, Narara. Join us for an awesome day of training! Students will have the chance to work in groups of a similar grade and age as they participate in 10 different training stations covering: Ground-work, Self-defence, Footwork, Advanced Kicks & Kickshield training as well as Games for our younger students. This is an event not to be missed!